Although it is three years since the story began, Edward Snowden is again in the news because of an upcoming movie by Oliver Stone. The buzz around the movie got me thinking more generally about whistleblowers. Are they are heroes or rogues? 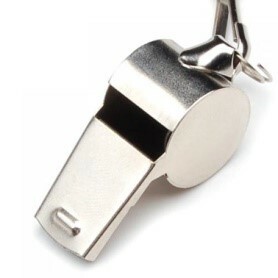 More importantly, how does the workplace successfully deal with a whistleblower? In my 36 years as a federal employee, I only had one experience with a whistleblower. It happened in 1978 when I chaired a Performance Rating Act appeal board for the Civil Service Commission. The employee considered himself a whistleblower. The three-member board (one member selected by the employee, one member selected by the agency, and myself as the Civil Service Commission designated chair) unanimously decided the employee was just someone not doing his job. As a result, the employee sued the board members (including me) and the leadership of his agency. My agency counsel said he had never seen a more quickly dismissed suit. Yet the “whistleblower” was able to get his story on a popular prime time news program. Since then, I have been cautious about identifying whistleblowers as either heroes or rogues. In the appeal process I saw a rogue. However, some whistleblowers are heroes. Others may be both. The question of hero or rogue makes the agency response difficult because whistleblowers can be an asset to an organization. Organizations require effective whistleblowers to surface problems that need quick resolution. Often, early and respectful problem resolution can avoid litigation. Court cases and appeals waste agency resources even when agencies prevail, which they do 79 percent of the time. Healthy organizations provide employees who have criticisms with effective internal mechanisms to air their concerns because such systems give the organization internal credibility and assist in maintaining good morale. Employees blow the whistle for various reasons. Some, particularly in the private sector, raise an issue for a monetary reward. Monetary reward is rarely the reason for public sector employees. 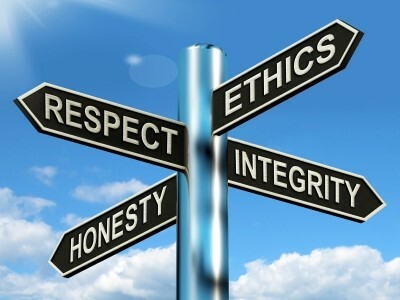 More often the concern, as in Snowden’s situation, involves ethical issues. In the Performance Rating Act appeal described earlier, the issue involved waste and mismanagement. The whistleblower contended the government was mismanaging its human resources and wasting money by assigning him work beneath his grade level. As a result, the whistleblower refused to complete his assignments. However, his job was not unique and others with the same background and training were completing the same assignments. So the question presented to the board involved whether the employee was properly performing, not whether the employee was raising legitimate whistleblower concerns. Organizations need well-functioning whistleblower protection policies to sort through issues at the lowest level where the best problem resolution can occur. Although most organizations have such policies, it is important to make sure that all managers are trained on the policies and have a healthy respect for them. It is also important to periodically review the policies to ensure they meet current standards. Current standards include four key areas. The first area involves a clear process for employee disclosure. 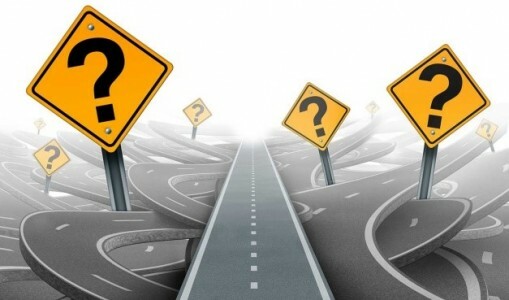 A clear policy provides both managers and employees a complaint roadmap and information about their rights and responsibilities. More importantly, a clear policy gives managers direction for handling employee concerns. The second area consists of providing safety in the outlet that employees use to raise concerns. Such an outlet requires disclosure to and investigation by an individual or unit outside the employee’s supervisory chain. Safety is important for several reasons. It encourages employees to use the process rather than beginning with an external disclosure. Using the process is particularly important to an organization that wants to identify and resolve problems at the earliest stage. Safety also reinforces employee trust in the organization. The use of a safe disclosure outlet functions as a relief valve that allows the organization to address issues before the issues affect organization morale. The third area relates to follow up. Every policy should have a timetable for quick issue resolution. Resolving problems quickly limits workplace disruption. In addition, employees need to know what happens to the issues they raise both in terms of process and outcomes. Employees must have confidence that the organization wants input on problematic issues before disclosure occurs. A clearly documented complaint process provides necessary reassurance. Finally, the entire effort requires credible top management support. That support includes identification in the policy and regular reinforcement. Management support is the area where organizations often fail. Typically, organizations develop strong policies, train managers and stop. However, top management needs to periodically provide public support for the policy so that employees recognize internal whistleblowing as a legitimate problem resolution process. An old American proverb notes, “It isn’t the whistle that pulls the train.” However, it is the whistle that assists the train in avoiding accidents. Whistleblowers function in a similar way because they help organizations avoid serious problems. Viewing whistleblowers as heroes or rogues is not useful. Instead, managers need to view whistleblowers as alarms of potential organizational failure. Author: Anna Marie Schuh is currently an associate professor and MPA program director at Roosevelt University in Chicago. She teaches political science and public administration. Schuh retired from the federal government after 36 years. Her last assignment involved management of the national oversight program within the Office of Personnel Management. Thank you for your article. It is a clear and important reminder that organizations should regard the potential whistleblower as an asset. In my own work teaching ethics to federal officials, I’ve found that organizations who welcome dissenting voices are rare, but they become stronger as a result.